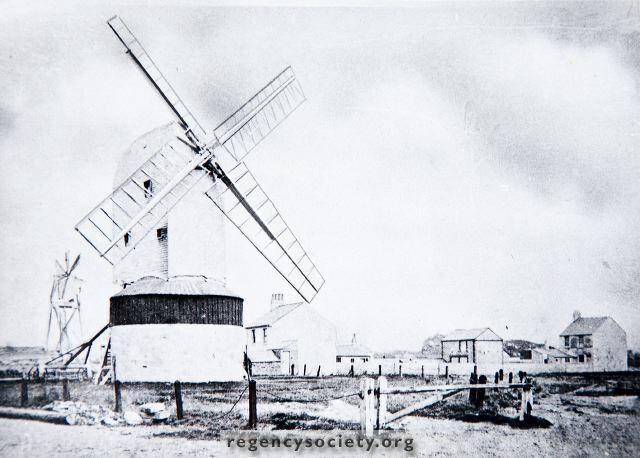 A copy of a very old photograph, showing Portslade Mill, probably in the 1860s. It was thought to have stood just above North Street, and may have been part of Red House farm, some of the other buildings of which are also seen. It was demolished in the 1870s. In the distance were the trees which adjoined St Leonards Church in New Church Road, Hove.